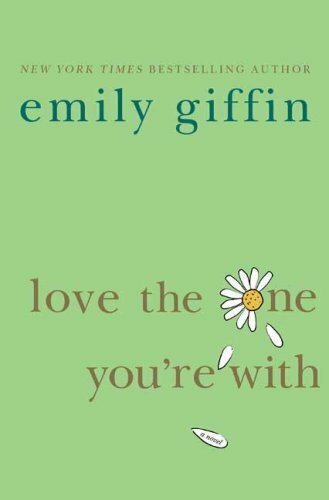 I just finished reading Love the One You're With by Emily Giffin...for the second time. It's funny how your views change when times passes. Maybe my thoughts and opinions changed because i'm getting older, or maybe it's life experiences. In a very short summery, the book is about a woman that has to pick between an old love and her husband. Both men make her feel two different ways, like two different people. She loves both, deeply loves both, but the question is, what life does she love more? So my question for all of you is this, do you think you can be in love with two different people at the very same moment? Has it ever happened to you? Her first love abandoned her, left her heartbroken. When you are left heartbroken you feel like you are left with nothing. It has happened to the best of us. But just say you get the chance to "rekindle" things with the former love of your life..would you? Or, would you already know you were better off with that person that loves you enough to stay with you, not only through the relationships hard times, but your personal hard times. If your spouse went to go see their former love of their life would that be the last straw for you? When I read the book the first time a few years ago I totally agreed with Ellen, go after what the heart wants. Go after that past love of your life. The heart wants want the heart wants. But reading it this time around I have a totally different mindset. The heart may want what the heart wants. You may need closure that you never got. Or maybe your wondering if the life you chose is actually the life for you. So this time around I was wanting her to be 100% loyal to her husband. He was a good man and never did her wrong. BUT maybe if I was in that situation I wouldn't be able to deny seeing the "one that got away". Maybe I would do the same thing. Give the heart what it has been asking for. Maybe, it can make the relationship more strong then it was before. Maybe you just need to figure out for yourself that your life is great. Your relationship is everything you could ever want. Let's get back to reality though, if you flew to go see your ex lover I don't think your current relationship could be fixed with just a kiss and an "i'm sorry". So how about we leave the past in the past and the present where it is. If they will leave you once chances are they will leave you again. And, if they just figured out you are the "one", they truly love you then, well, they don't deserve you anyways. So let's keep our ex lovers in the past where they belong. Always look ahead and cherish the wonderful times you had with that person. But look forward to the times you will be having with that one person that deserves the greatness in you. I know i'm still waiting for that person to sweep me off my feet the way my first love did. Until then I will look forward to the future, and think fondly about the past that I wish to keep in the past. P.S. If your a lady I totally recommend this book! 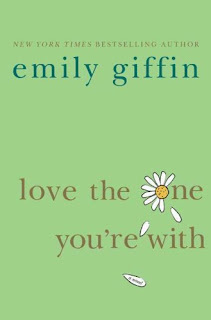 Actually I recommend all of Emily Giffins books! P.S.S. If anyone is reading my blog, I would love for you to share your experience if you can relate to this topic!